There comes a time in a person’s life when a job loss, whether through company layoffs or a self-induced firing, is imminent. When you’re able to recognize that job loss looms on the horizon, there are a few things you can do to try to prevent it, such as working harder, drawing attention to your results, and bringing in revenue through referrals for your company. But how does one know where or when the ax will fall? What are some signs your boss is considering letting you go? 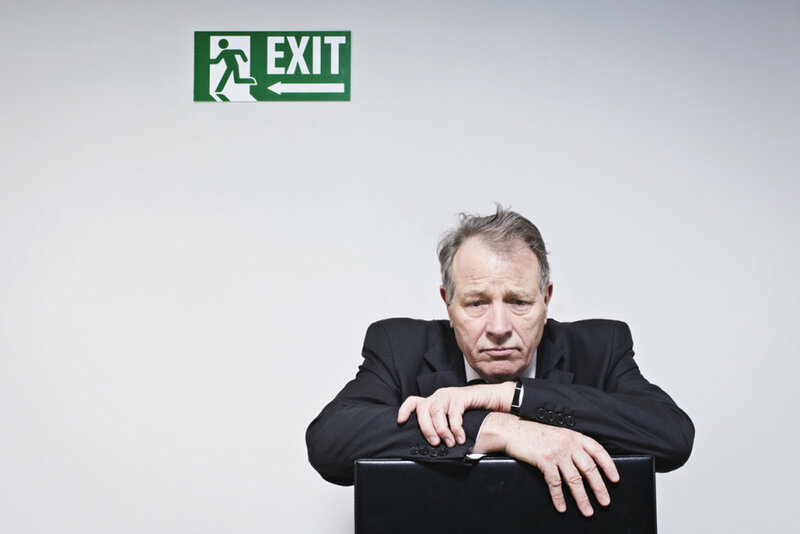 Look for these 8 indicators that you may be losing your job soon. 1. You’re Suddenly Being Micromanaged. You thought you worked at a “cool” company that understood micromanaging was a waste of time and employees could be more productive if left to their own devices. But out of the blue, your boss asks you to keep records of how you spend your day or requests client documents or presentations you’ve prepared in the past. This is a major indicator you’re under close review, and although the reasons could be good (you’re up for a raise? Promotion?) be wary that they could also be bad. Be especially wary if you didn’t ask for a raise or promotion and there are no open positions above you to be filled. 2. Your Work is Being Redistributed. If your work is suddenly being redistributed to others, it’s probably not because your boss sympathizes with your schedule and feels you’re being overextended. It doesn’t look good if someone else or several other people can handle your book of business on top of their own, and it’s difficult to justify overworking other people so you can be freed up. This action could be the company’s way of planning ahead. They don’t want to leave your clients in the dark in the weeks that follow a firing, so they’re preparing by assigning your tasks to someone else. 3. You Don’t Feel the Pressure. Your boss doesn’t seem to care about the quality or quantity of your work anymore, and on the days of major deadlines, he or she is nowhere to be seen or heard. Normally, they’re breathing down your neck every step of the way and demanding perfection from every nook and cranny of your capability. While it might be a relief that they’ve finally let up and have trusted you with your responsibilities, that might not be the real reason why you’re not feeling the pressure anymore. Your boss doesn’t just stop caring out of the blue, and unless you’ve previously discussed taking on more independent responsibility, this might be a sign that you’re treading dangerous waters. 4. You’re Not Sure What You’re Doing Anymore. You went from managing your own portfolio and book of business to performing menial tasks or doing things that don’t generate results. Instead of working the front lines, you’re asked to step aside and work behind the scenes, and you find yourself abandoning the projects you cared about to help other people get ahead. You’re no longer the idea person and you feel you’re not being heard when you express your opinion. It’s a slippery slope and it’s possible your boss thinks you’re under-performing and testing you out in other areas to see if it’s worth keeping you at the company. 5. You’ve Made a Huge Mistake (Or Several Small Mistakes). In corporate eyes, mistakes equal money lost. No matter how good of a relationship you have with your co-workers and superiors, a company can’t manage to hold on to someone whose poor performance threatens the profit margin. In your head you secretly blame the company for overworking you until mistakes were unavoidable; you blame your subordinates for not double checking you and your colleagues for distracting you. But in the end, all that matters is what’s on paper: your name, your mistake. 6. Your Co-workers Treat You Differently. With a boss holed up in an office down the hall and not always an integral part of the action, your co-workers are often the first indicator you’re not pulling your weight. They certainly wouldn’t know about a firing before you would, but they’re reactions to your work exemplifies the reaction of the company as a whole. With so much emphasis on team building in corporate culture, colleagues tend to keep mental track of who is doing well and who isn’t. They want to know who to go to for advice or assistance and who to avoid. If you’re the one they tend to avoid, it could be because they don’t trust your advice, they don’t consider you a team player, or they’re disappointed with the quality of your work. 7. Everything Has Drastically Changed. Pulling 180s often signifies something is amiss. If a company is doing tip-top and profits are high, there would be no reason to completely change the way it’s run. But if suddenly every process is altered and the business strategy shifts, it could be a sign your company is in danger and layoffs are imminent. If you consider yourself a valuable employee and you’re hoping to make the cut, start gathering your portfolio of your best work and building a case for them to keep you. Focus on results: what have you done for the company and how can you back it up? If they’re really going under, they’re going to want to keep only the best that can possibly pull them back to the surface. 8. You Hate Your Job. And it shows. You don’t get along with anyone in the office, you don’t like your superiors, and you constantly complain about your duties. In this case, getting fired may be the right thing for you. Use it as an opportunity to seek out something you’d enjoy. And in the meantime, develop a sense of what it is you’d like to be doing. Take up hobbies, read, research, search the web for careers that sound interesting, volunteer, and network as much as you can. The best thing you can do when getting fired or laid off is to be prepared. Instead of crying and screaming in your boss’ office, ask questions. What led to this? What could you have done differently? You also want to leave a professional and positive opinion of your work in case they’re contacted by future prospective employers. Outline what you’ve done for the company that generated positive feedback from your superiors. List any projects you worked on that tracked numerical success. And lastly, thank them for the opportunity.